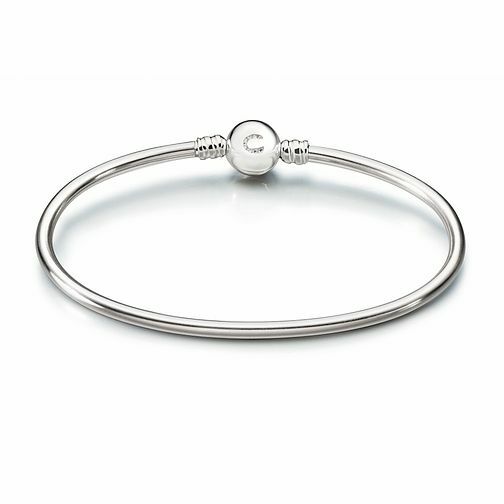 Chamilia Brilliance Swarvoski Zirconia Bangle Large 8.2"
A large shining sterling silver 'Brilliance' bangle to decorate with your favourite charms. Discover all the ways to express yourself with one of a kind jewellery that reflects your life and experience. Inspired by your personal sense of style, Chamilia jewellery is as unique as you are. Chamilia Brilliance Swarvoski Zirconia Bangle Large 8.2" is rated 5.0 out of 5 by 2. Rated 5 out of 5 by Anonymous from Beautiful and brilliant I brought this for my girlfriend for valentines. Its such a cute and elegent bangel and she loved it. I would reccomend it to any one.